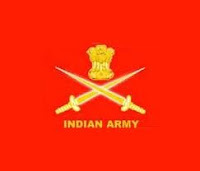 Indian Army Recruitment 2017 – 142 Tradesman, Material Asst, Fireman & Other Posts :- Indian Army has issued notification for the recruitment of 142 Tradesman, Material Asst, Pharmacist, LDC, Tele Operator, Fireman, & other posts. Interested & eligible candidates can apply in prescribed application format within 21 days from the last date of publication of advertisement in the Employment News. 1. Material Asst: Graduate in any discipline or equivalent from the recognized University / Board or Diploma in Material Management or Diploma in Engineering from any recognized University. 2. LDC: 12th class or equivalent from the recognized University /Board. 3. Pharmacist: 12th class or equivalent from the recognized University /Board. Two years diploma in Pharmacy and Registration with State Pharmacy Council. 4. Tele Operator II: 10th class or equivalent from the recognize d University /Board. With English as compulsory subject. Proficiency in handling in PBX Board. Desirable fluency in spoken English. 5. Fireman, Tradesman (Mate), MTS, Dhobi: 10th class or equivalent from the recognized University /Board. 6. Tailor: 10th class or equivalent from the recognized University /Board along with a certificate issued by ITI or equivalent institute. How to Apply: Interested eligible candidates can send their application in prescribed format along with all necessary documents to Commandant 21 Field Ammunition Depot, PIN 909721, C/o 56 APO within 21 days from the last date of publication of advertisement in the Employment News. Subscribe our Free Job Alert Mail Service for Latest Indian Army Recruitment Notification.